About one out of every 5 people speak a language other than English at home. What is the impact on their health care? does this increase risk of medical malpractice? This problem affects many aspects of health care. Non-English speaking patients are less likely to have a usual source of medical care, to receive preventative medical care and have an increased risk of not following instructions to take medications. For example, a mother thought the oral antibiotic prescribed for an ear infection should be placed in the ear. Inadequate communication may lead to delays in diagnosis, incorrect diagnoses, treatment errors, an inability of the patient to correctly comply with treatment recommendations and many other problems. Studies show that patients with limited English proficiency are more likely to experience adverse events than do English-speaking patients. They are at higher risk for medical errors. Inadequate communication may have terrible consequences. For example, a Spanish-speaking 18-year-old stumbled at his girlfriend’s house and collapsed. He told her he was “intoxicado”. The on-Spanish speaking paramedics thought this mean intoxicated. The intended meaning was nauseated. There was a delay of 36 hours before the patient’s head was scanned and the physicians diagnosed a brain bleed. 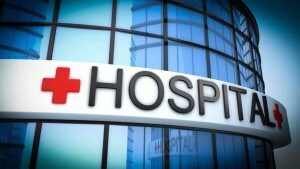 The hospital paid a $71 million malpractice settlement. Many people who need medical interpreters have no access to them. There are risks to using non-medical interpreters. Family members, friends, untrained members of the hospital and strangers found in the waiting room are more likely to commit translation errors that may cause adverse events. They may not understand medical terminology, and be uncomfortable translating questions about spousal abuse, sexually transmitted disease, substance abuse or psychiatric illnesses. Children are not appropriate interpreters because they are not likely to fully know both languages or medical terms. Medical staff needs to know how to access an interpreter so that the patient is able to be understood and to receive information in a language he or she understands. A medical malpractice case is often rooted in a communication issue. As the attorney handling a medical malpractice case involving a patient with a language barrier, think about how the facts of the case might be affected by a lack of understanding – on the part of the provider and the patient. Ask your legal nurse consultant or expert witness to be attentive to this aspect of the case analysis, and to look for evidence that the health care provider or facility provided properly trained interpreters. The legal nurse consultants at Med League are happy to analyze the medical records for this potential cause of liability. Please give us a call.